MathSport Asia 2018 will be held from December 10, 2018 to December 12, 2018 and will be hosted by the XLRI Xavier School of Management at Jamshedpur, India. 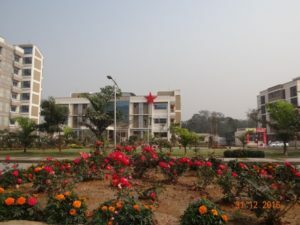 Jamshedpur has a strong sports culture; it is home to three Sports Academies established by the Tata Steel Group (The Tata Football Academy, The Tata Archery Academy and the Tata Athletics Academy) and boasts of good sports infrastructure in terms of sports stadia, golf courses and other sports facilities. It is also home to one of the ten soccer teams that comprise the Hero Indian Super League.